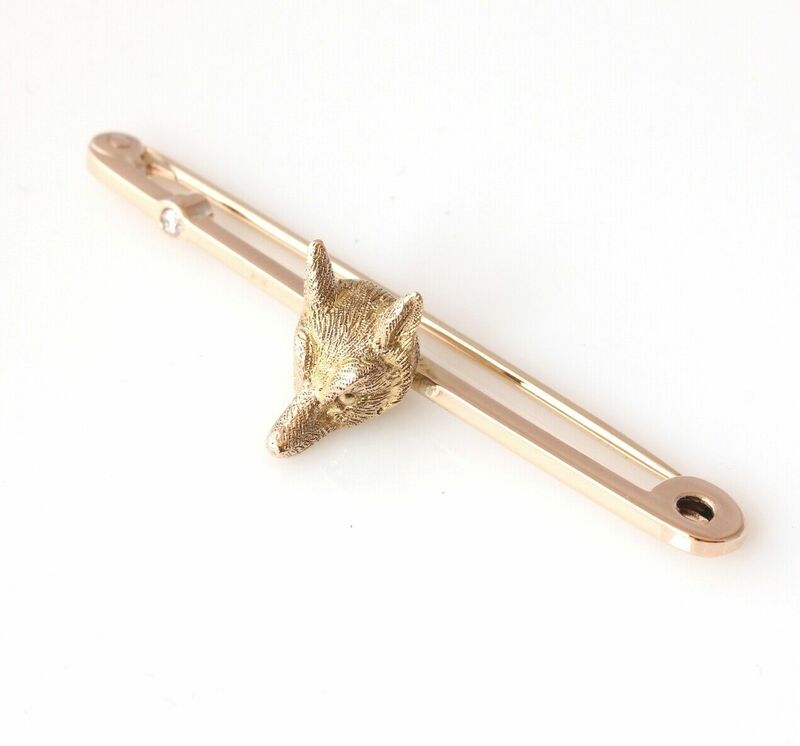 9ct Gold Fox Head & Diamond Brooch / Hunting Themed Tie Pin in Gift Box. 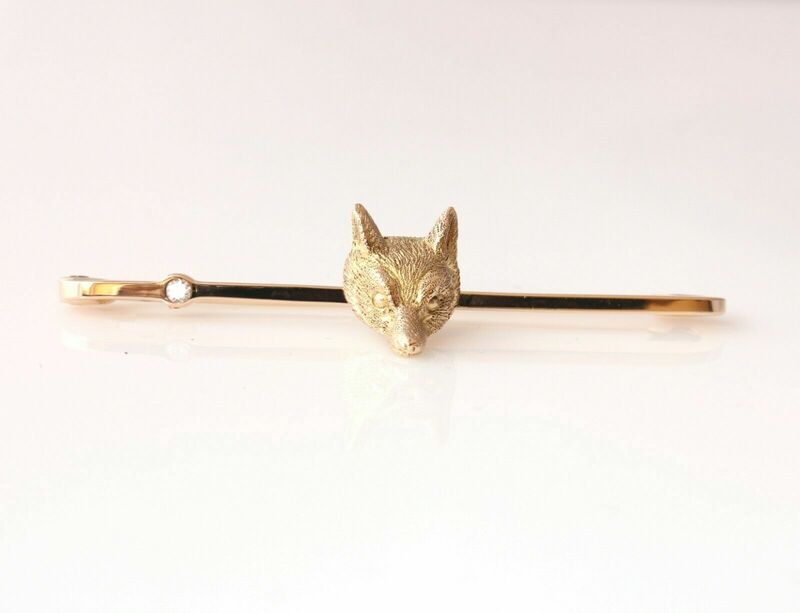 This lovely antique brooch / tie pin is crafted in 9 ct yellow gold and features a handsome fox mask mounted on a gold bar that is set with a clear, sparkly natural diamond. 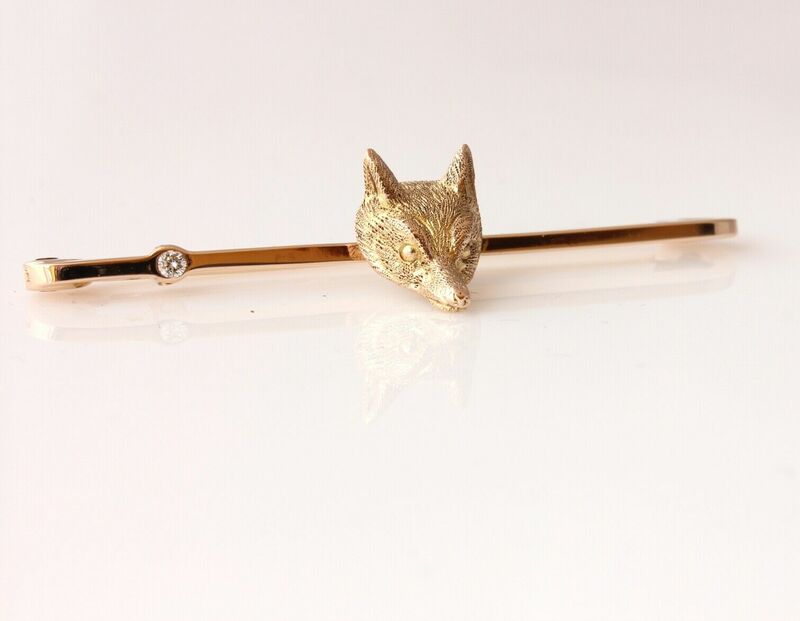 A very nice brooch which dates from the early 20th century, is of very nice quality and would make a wonderful gift. 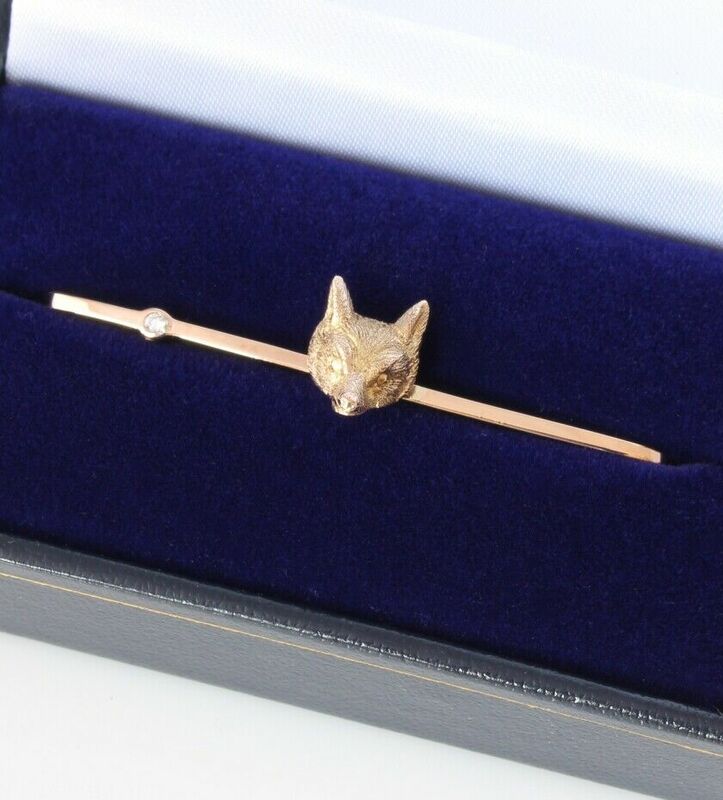 Materials: 9 ct yellow gold. Hallmarked: Stamped 9ct for 9ct gold. 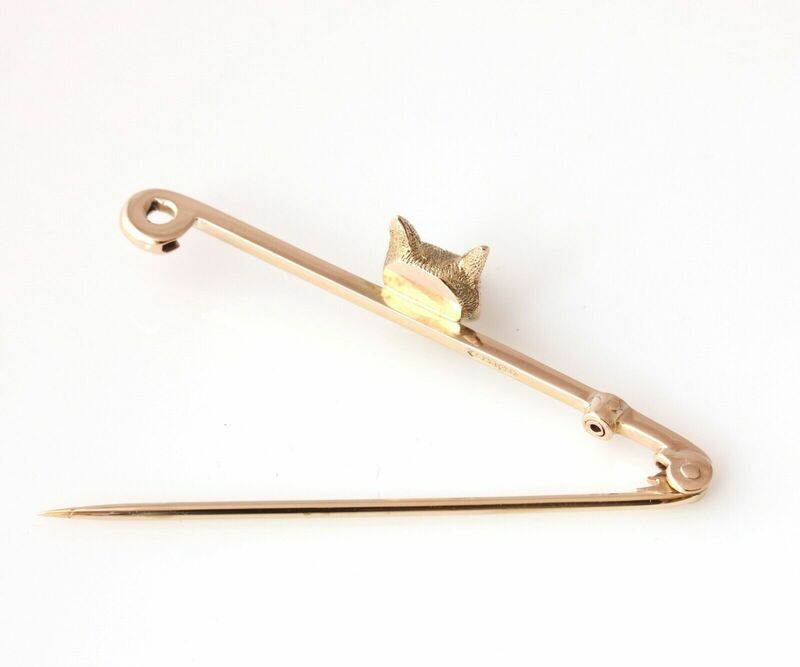 Maker's mark: J G & S.
Length of Pin: 51 mm ( 2" ) approx. 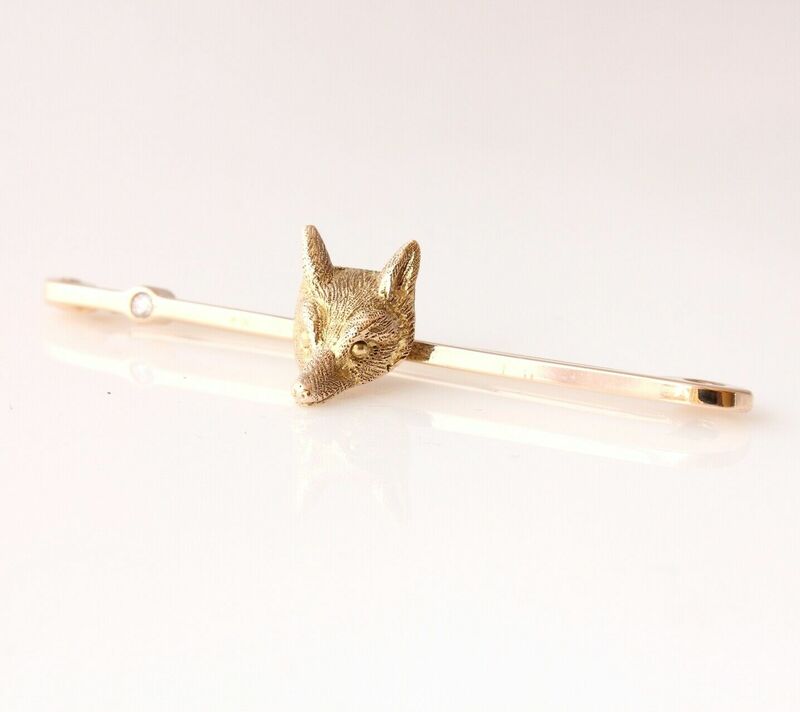 Height of fox head: 12 mm ( 1/2" ) approx. Condition: Excellent antique condition. Cleaned and ready to enjoy. Please see pictures. Comes in a new case.